The move to cloud and shared IT infrastructures is accelerating in enterprises across the globe. Are your operations, service management processes and solutions evolving to keep up with this fundamental shift? 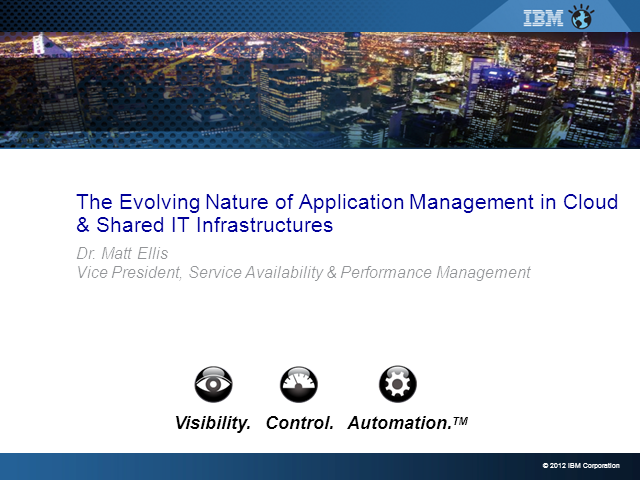 In this webinar, Matt Ellis, VP of Development for Service Availability & Performance Management at IBM, will discuss how to manage your applications in cloud and hybrid environments, ensuring you reap the productivity and cost benefits of cloud while optimizing application and service performance.